Raising a bilingual child is HARD. But don’t let that scare you – the best things in life, the things we most appreciate rarely come easy. And Bilingualism is something that will give your child a HUGE advantage in life. Parents have every right to feel a little apprehensive about the project. Fortunately, some of the most common concerns about bilingual education are outdated or just plain wrong — errors of old educational beliefs and incomplete data from years gone by. A lot of very popular notions about bilingualism are simply untrue. Majority of the world is bilingual. Roughly 130 countries out of 195 speak 2 or more languages . Statistics on bilingualism can vary widely, mostly depending on how each survey chooses to define “bilingual.” But even conservative estimates put about 20% of the households in the United States as bilingual, and the United States has a fairly low rate of multilingualism by international standards. There are countries where virtually 100% of the population grows up speaking more than one language. Of course, numbers aren’t necessarily a guarantee that your child (or your parenting methods) won’t seem “weird.” The myth of bilingualism as an oddity comes from the idea that a particular language (usually English) is inherently more useful than others, and that training a child in a second language is forcing a useless skill upon them. But rates of multilingualism are increasing globally, not decreasing. Even if you don’t personally know any other parents raising a child bilingually, you can rest assured that it’s a common approach — and becoming more so. ANY child can be bilingual. 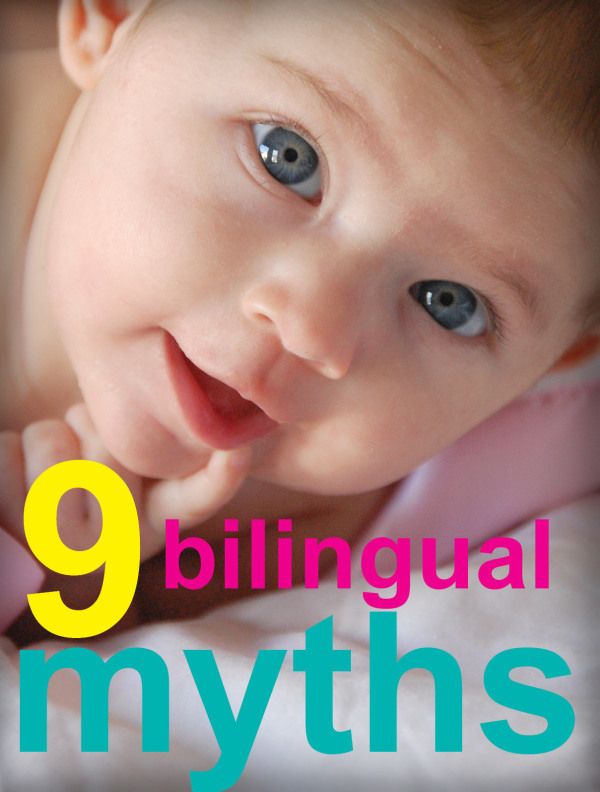 If this myth were true it’d be hard to convince anyone to start bilingual education early, since there’s not a lot of ways to tell if a pre-verbal infant is “linguistically gifted” or not. You don’t need to worry about whether or not your child is “smart enough” to learn two languages at once. He or she is – the real question is, are you ready to implement the change in your lifestyle to make it happen? The fact of the matter is that children are born prepared to learn languages. Pre-verbal infants begin reacting to different languages in different ways as early as four days after birth. No special gift is needed — a young brain is more of an advantage in learning languages than any natural aptitude. Some individuals will certainly show greater ease with learning new languages later in life. It’s a talent just like any other. But it takes time for those mental aptitudes to develop and manifest, and they don’t impact early childhood bilingual education. Exposure to and stimulation in multiple languages is all a young brain needs to begin learning multiple languages at once. This is a myth that springs from something we all do: search for a good alternative when we aren’t quite sure what the right word for something is. A monolingual child who can’t come up with the word for something he or she wants may substitute pointing, made-up portmanteaus (combinations of existing words), or longer descriptions. Bilingual children have another source for alternatives in their second language. It’s very common for bilingual children to speak phrases or sentences in one language, but use occasional words from their other language. This isn’t a problem of confusion or an inability to tell the languages apart. As we stated earlier, children can distinguish different languages from the very first days of infancy. The mixing is just a sign of the bilingual child using a second communication tool when one isn’t able to express his or her needs. Children, whether they speak two languages or one, are mostly concerned with making their needs clear. If they have two languages, they’ll use both to do that. There’s no evidence right now that being raised bilingual harms development in a child’s primary language. Skills that develop slightly differently from a bilingual child’s peers’ are a sign of an adaptive mind working through communication problems, not a delayed education. A more specific concern related to the last point, there is a belief that children exposed to multiple languages from birth wait longer to become functionally verbal at all. Most of this comes from the general perception of verbal speech as an early benchmark of a child’s education. 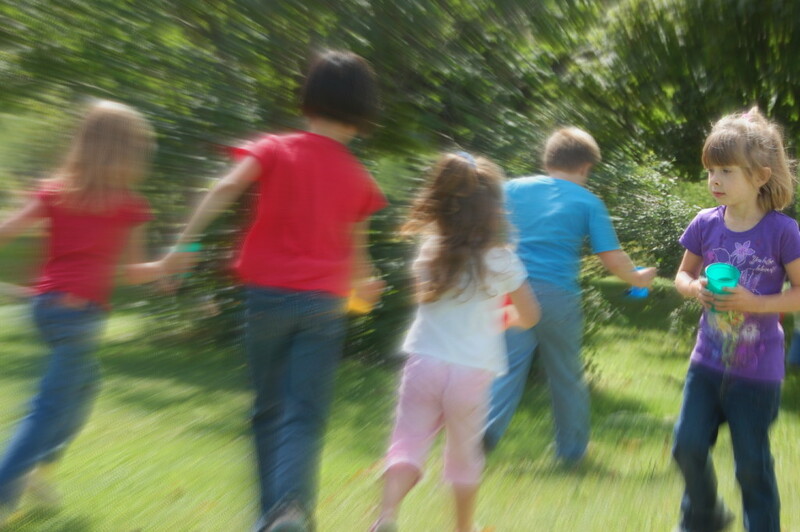 Parents become worried if their child seems to be lagging behind others in spoken communication, whether the child is bilingual or not. If your child still prefers to use her hands to explain what she wants and not her tongue, don’t blame it on bilingualism. The reality is that language delay is common in all children. It’s one of the most common developmental delays in early childhood, in fact. Because it can be difficult to explain, many people tend to jump to the conclusion that a bilingual child’s speech is delayed because he or she is learning two languages, even in the absence of any evidence to support the connection. There’s no reason to break off bilingual education because a child seems to be slow in developing spoken communication. Children’s brains acquire different skills at different times, and the differences can be striking — as much as a year’s gap between one child’s progress and another’s, with no effect on either child’s education later in life. Stopping a bilingual education once it’s in progress may even be harmful or confusing for the child — it removes half of his or her small vocabulary in a single stroke, with no explanation. It’s always important to remember that language isn’t an abstract, academic concept to children. It’s how they express their wants and needs. In a bilingual household, the easiest way for them to get what they want may well be to mix their languages in the middle of sentences. Parents often worry that their child will do the same at school, and learn more slowly as a result. But the child will learn to communicate effectively at school too. If teachers and peers only speak English, the child will very rapidly learn to ask for things in English, without any of the blending he or she may do at home. Studies show that by the age of five, bilingual children who need to speak a single language in their communities have learned to do so without using words from their second language. When faced with a problem that requires a word they don’t know, they do the same thing as monolingual children: look for an explanation that uses the words they do know in that language. 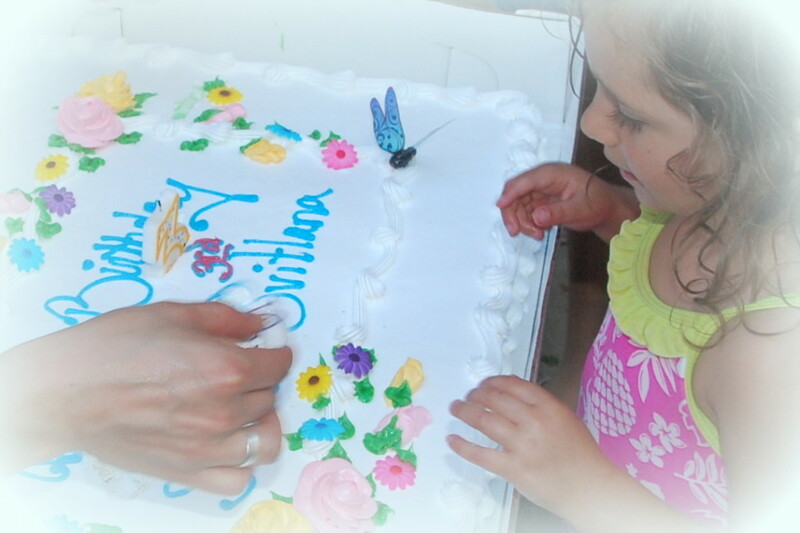 Did your child celebrate their third birthday? 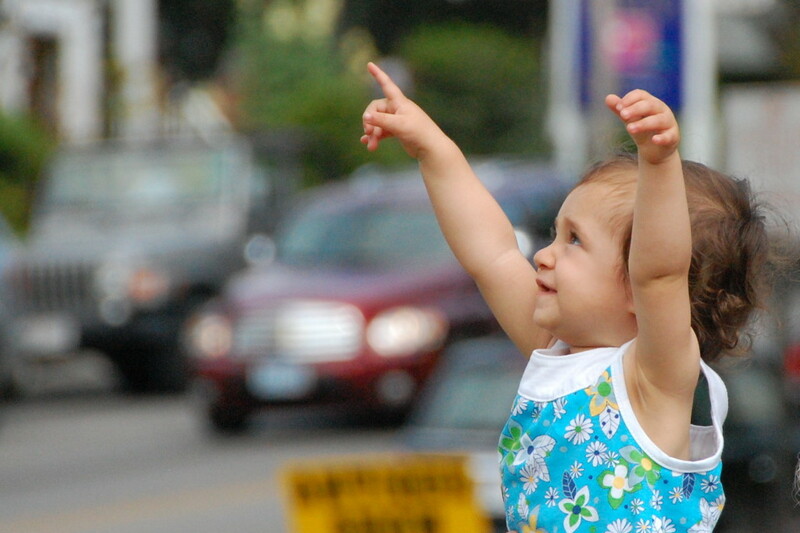 Good news – you still have years to raise them bilingual. Infants have the definite advantage in learning two languages at once. The first year of life is when our brains are working the hardest on learning to understand how language works. A child trained in two languages during that time will have a more inherent understanding of the relationship and differences between than someone who starts later in life. None of that means that bilingual education can’t start later. In fact, it’s done exactly that way in many countries — children are raised speaking their native language at home, but begin education in English as early as kindergarten. By that age, children understand that a second language can be learned as a skill, rather than as an inherent part of their environment. It may come less naturally, but the same is true of anything your child learns at school. Adding a bilingual experience at home will only increase your child’s exposure to the second language and help them along, even if the process begins later in their life. Two monolingual parents may wonder if it’s even possible to raise their child bilingual. 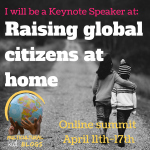 If they only speak a single shared language themselves, where will the child get the exposure needed to develop a second? Like most of the myths covered here, you can take comfort on this one by remembering — lots of people have done it. Many immigrant families arrive with small children and no one in the household speaking more than a word or two of the new dominant language. The child will quickly learn bilingually, even if the parents struggle to acquire the new language themselves. Parents who don’t have the advantage of being surrounded by a second language can still raise a bilingual child. It usually means learning some of the language yourself, but it also requires outside stimulation from people who speak the second language fluently. Movies, books, and especially visits to places where people speak the second language will help a child’s bilingual development move along even as the parents struggle to acquire a bit of the second language themselves. This idea is partially correct. Children do absorb languages naturally by listening to them. But if all they do is listen, their fluency will quickly become “passive. “They may be able to understand the spoken language, but their ability to speak it themselves or to comprehend written materials will be severely curtailed. This tends to be a common developmental progress in households where older relatives speak one language but the child’s interactions are all done in the dominant local language. True fluency in multiple languages requires both exposure and use. Children have to be encouraged to use their second language to get the things they want, or they will develop an instinctive understanding that their primary language is sufficient on its own. For parents, this means actively requiring the use of both languages. Exposure in more forms that just one parent’s speech is also a great boost to bilingual learning. If children can be given games, books, and other forms of entertainment that require the use of their secondary language, they are more likely to seek true fluency rather than passive understanding in it. In most of the world, this is not the case. Raise your children to be proud of their heritage, so they will be able to withstand any negative opinions. To be clear – there are places where any foreign language or customs are not welcome – but with globalization and an increase in tolerance for others these exceptions are becoming more and more rare. My husband grew up in a culture where speaking Spanish was looked down upon – he never learned his father’s native language and to this day wishes he would have. One thing that’s definitely not a myth is that raising a child bilingually is work. It requires dedication and planning. But it is not harmful to a child’s development (in fact, the opposite is usually true). Any child can learn two languages from a young age, and can do so without any harm to their performance in the dominant local language. Even parents who only speak one language themselves can raise a bilingual child if they’re willing to understand the process and work hard at it.